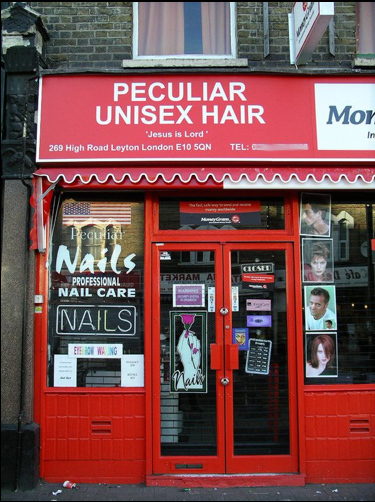 It's an unwritten rule that all hairdresses must have punning or comical names. A Cut Above, Snip At The Price, Hair Today... This wonderfully titled place in Leyton is playing fast and loose with that tradition, ploughing its own unique and baffling field of wordplay. And we're loving the small print. Thanks to Jonathan Wadman for the snap.